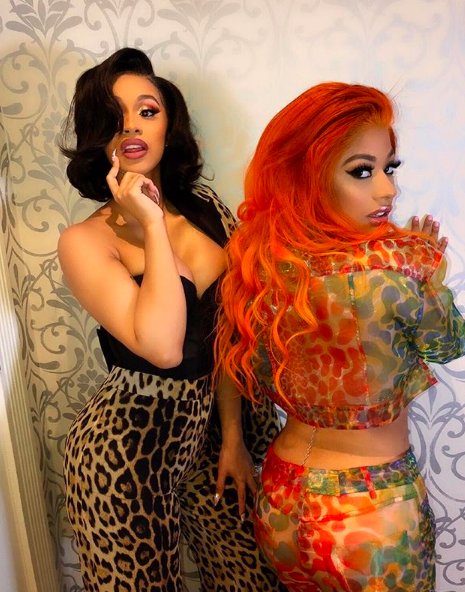 Nothing says we’ve arrived like a set of hot sisters and Cardi B and Hennessy Carolina have got that covered. The Dominican-Trini sisters made sure all eyes were on them on Thursday night when they pulled up to the Jeremy Scott New York Fashion Week presentation serving all types of bomb looks. While Cardi opted for animal print, Carolina went all the way out with orange hair and a sheer colorful ensemble paired with a triangle bikini top. The sisters were sat front row alongside Paris Jackson, 21 Savage and Quavo.